September Tasty Tools - Bakeware! I guess summer is really over... but we did end it on a delicious note by cranking up our ovens to welcome fall. 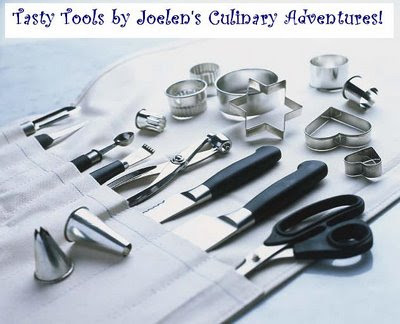 This month's Tasty Tools event highlights bakeware! Whether it's made out of glass, silicone, metal or stoneware, if you can bake in it, it's a great addition to our round up. Check out the wonderful things folks are baking up with their favorite pieces of bakeware. Who knows... it just might inspire you to create something comforting and warm on these fall days! Thanks to all that participated and hope you enjoy this collection of recipes warm your soul and oven. 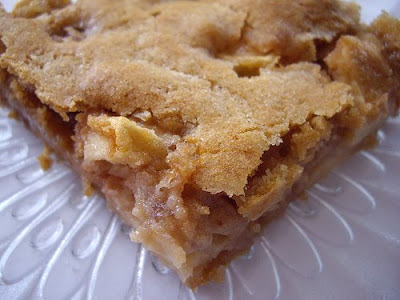 What's fall without a slice of Apple Pie? Jenn shares with us a Food Network recipe for Apple Pie which is perfect for the fall weather. Using a 10 inch pie plate and a cookie sheet, her entry features 2 pieces of essential bakeware. 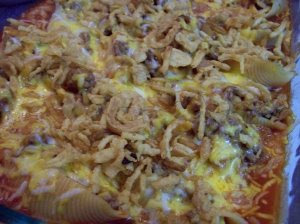 Check out her blog for links to the recipe and additional mouth watering pictures! Move over Hot Pockets (and the like)! Nancy's got an even better snack with her Stuffed Baguettes. These baguettes are stuffed and baked with your favorite sandwich fillings baked right in. These can be made using a baking sheet, baking stone or peel. Check out Nancy's blog for the recipe & details on creating the perfect dough for these and what she stuffed her baguette with! I have been a fan of Oggi's blog for a few months now... and her entry probably gets the "Coolest Bakeware" award. 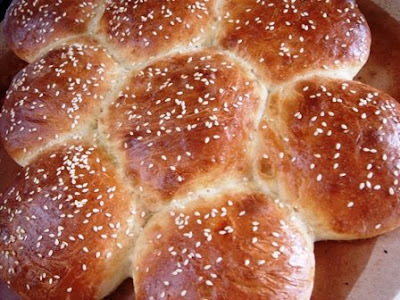 Using Pullman bread pans, she creates these delicately soft, yet sturdy loaves of bread. Check out Oggi's blog for details on the bread pans she used and for the recipe! Karen is such a fabulous cook & baker that all her entries to my blogging events are so tasty. This one was no exception, especially since I'm a big fan of caramel. Her Caramel Bars were made using an 8x8 Pyrex pan and to prevent a big mess and easy removal from the pan, she uses foil! (Such a great tip, by the way!) Check out Karen's blog for the recipe! Another one of my fave blogs is Jaime's. This time she makes me crave something peanut buttery with her entry to Tasty Tools. Using her muffin pan, she creates these Peanut Buttercups... and if that wasn't enough, she tops them with a Peanut-Penuche Icing. YUM! Check out Jaime's blog for the recipe and more drool-worthy food pics! I really like Carly's entry for this bakeware event. 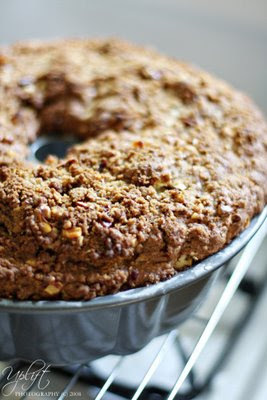 Aside from creating something delicious, she used a special piece of bakeware, a 10 inch round cake pan, used by her husband's late grandmother. Carly's version of Spanakopita looks so versatile and easy... check out her blog for the recipe! With healthy eating on our minds, I'm glad to have Shauna share her tasty Low Fat Pumpkin Muffins for the event! She used her muffin pan to make these beautiful treats, perfect for the fall. If you need to get in the fall spirit, check out the recipe in Shauna's blog! 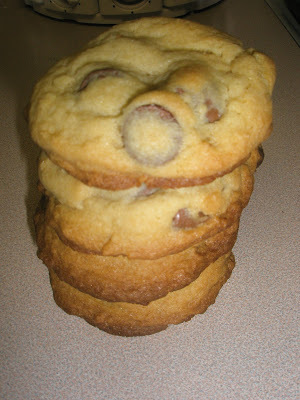 Carrie is after my own heart because she shares with us my favorite cookie of all time - chocolate chip! Her recipe is from Food Network celebrity chef, Tyler Florence and he would be proud to see how perfect the cookies came out! Carrie used her trusty cookie sheet which is a definite must in every kitchen. To get the recipe (especially in time for the holidays!) check out Carrie's blog! Jess shares with us a special recipe from her her aunt. Using a 9x13 baking pan, her Mexican Stuffed Shells is sure to be a keeper recipe. One thing I love about preparing baked pasta shells is the fillings can be an endless possibility and this recipe is a great fusion of Italian and Mexican cuisines. Check out Jess's blog for the recipe! Aside from our love of food, Lindsey and I share the same fondness of Crate & Barrel... so much so that she used her Crate & Barrel Bake & Store Cake Pan for her entry. 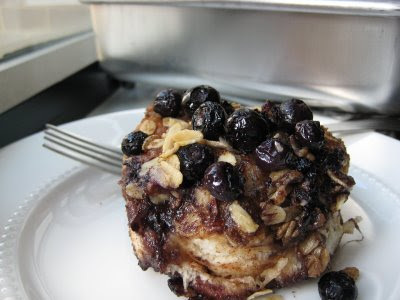 Her Blueberry Coffee Cake has left me speechless because it looks ridiculously good. All those blueberries look so tempting atop the cake. For a fabulous breakfast dish, you'll need to check out Lindsey's blog for this recipe! I had the pleasure of meeting and brunching with Kristina last weekend (along with some other fellow culinary divas) and she definitely has an appreciation of good eats. 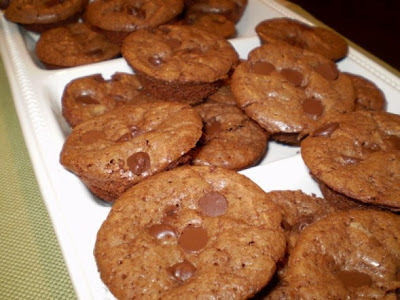 Her entry is definitely a delicious one because she creatively used a mini muffin pan to make brownie muffins. Is it a brownie? Is it a muffin? Regardless, it sure looks chocolatey good and you're able to find the recipe in her blog! Probably the most colorful bakeware entry comes from Jen. Her bakeware, a purple 8x8 Pyrex pan, was used to make a delicious and healthy Zucchini & Turkey Lasagna. I don't know about you, but lasagna is definitely a comfort food in our house and her recipe looks outstanding. Check out Jen's blog for the recipe! Being a Pampered Chef consultant myself, I was especially pleased to see Annie use her Pampered Chef Pizza Stone for the the Tasty Tool event. Even more pleasing are the gorgeous hamburger buns she made on the pizza stone. Seriously, she's a natural in the kitchen and her new son is one lucky boy to have a great chef of a mom! Check out Annie's blog for her recipe! Becke always has something delicious cooking up in her kitchen and this time around, she's sharing a dish that uses some seasonal produce such as apples. 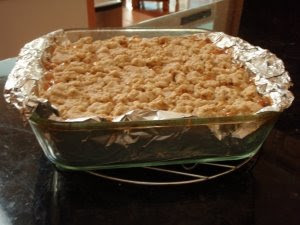 Her entry, made in a 9x13 baking pan, captures fall in every bite of her Simple Apple Squares. 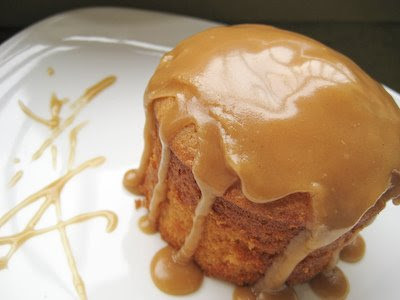 To find out what could top this tasty dessert, check out her blog and get the recipe too! Kelsey joins the round up with some fall flavors packed into these tasty cookies using her jellyroll pan. These would make for some wonderful gift giving for the upcoming holidays too. Check out Kelsey's blog for the recipe! All the recipes look great! Thanks Joelen!